I’m quite the tech enthusiast and have no qualms with people who choose Apple’s iOS ecosystem although it’s no secret that I prefer Android. Apple’s iPhone provides users with a seamless user experience that is simple and does what users need well… for the most part. This is why Apple with its latest update to its iOS system, iOS6, has me and many others infuriated. With iOS6, Apple has tossed Google Maps to the side in favor of its own flavor of maps, which aggregates data from 3rd party map providers such as TomTom and OpenStreetMap (A BNP Paribas analyst says Apple aggregates about 20 different sources for its map data). Many speculate the reasoning behind this is because Apple is trying to separate itself from the Google platform. After all, Google and its Android OS hold 68.1% of the worldwide market share, according to the IDC, compared with Apple’s 16.9%. In the U.S., things look slightly better for Apple, but Android is still dominating the market with 51.9% of the smartphone market compared to Apple’s 34.3% based on Nielsen’s July 2012 data. It’s a smart move for Apple to differentiate itself from its main competitor, but only if the service they are providing is on par with what it’s replacing. This is not the case with Apple’s new maps and it’s the users who are suffering. iOS6 rolled out to devices on September 19 and came pre-installed on the iPhone 5, which launched on September 21. Since then, many users have been complaining about the new maps. In the U.S., users are forced into poor quality maps such as the one pictured above. While iOS users finally get voiced turn-by-turn directions (4S and 5 only), they are left without public transit navigation and street view options, which can be a deal breaker for urban people living in large metropolis areas such as San Francisco, Chicago, and New York City. Google has spent many years and logged many hours to make their maps as robust as they are today. The Google Cars have gone around everywhere to obtain street view data and where cars could not go, people with high tech backpacks made the trek to capture the wilderness. More recently, Google has partnered with universities to provide more detailed information and even street view of campuses, which Apple’s map option is sorely lacking, as seen in the below picture. As you can see, the pictures of the areas look like it’s been through some apocalyptic scenario and were taken out of a movie such as 2012. Did the machines rise up against humanity? No, it’s just Apple’s new maps. 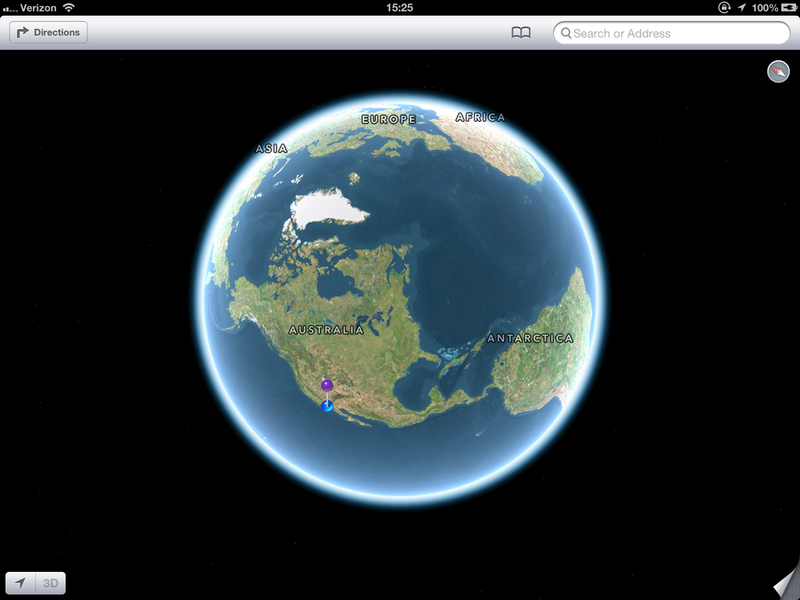 Or, perhaps, this is how Apple envisions the world looking someday? Is it showing us the future? Perhaps this is a warning of what will happen if Google remains in power and Apple doesn’t win? Who knows. Apple is well aware of the problems and says it’s “just getting started.” They’re asking their users to be patient with them and reminding them to report problems, keeping in mind that the new maps are crowd sourced. The maps should get better as more and more people use it. Google has yet to say whether or not they intend to release their own Google Maps app for iOS like they did with YouTube, which Apple also abandoned in iOS6. Unlike Maps, though, people generally praised this because the native YouTube app was outdated compared to the website and untying it from the OS provides Google the freedom to update the app as necessary. However, there is no Google Maps app for iOS and there may not be one. 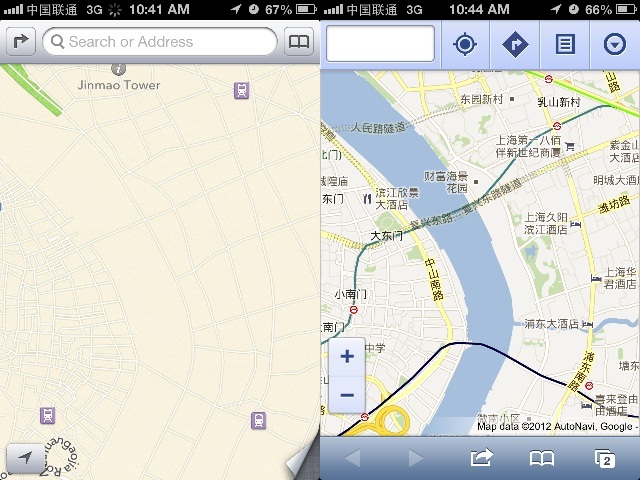 iPhone users can still use their browser to navigate to Google Maps as an alternative though. No doubt it’s Apple’s users who are feeling the brunt of Apple’s war with Google. I can only hope that this entire mess gets sorted out soon because it’s the customer who is losing here by being provided a sub-par user experience. In my opinion, Apple has gone a bit too far and is playing way outside of its sandbox. Apple is best at marrying some of the best software with the best hardware, providing users with a seamless experience. However, their new maps are not even close to the best software and puts Apple’s need of separating itself from Google ahead of its customers’ needs: a detailed map app. Instead of renewing its license with Google, Apple decided to spend millions on acquiring various mapping companies and licensing other mapping data when it could have simply renewed with Google and use the money saved on making iOS6 more robust. As it stands, iOS6 did not provide any revolutionary features for its users like what iOS5 did with notification center, “multitasking,” and Siri. The poor maps have caused some tech bloggers to recommend users to NOT upgrade to iOS6; especially for older models such as the iPhone 4, which doesn’t see the benefits of turn-by-turn directions. 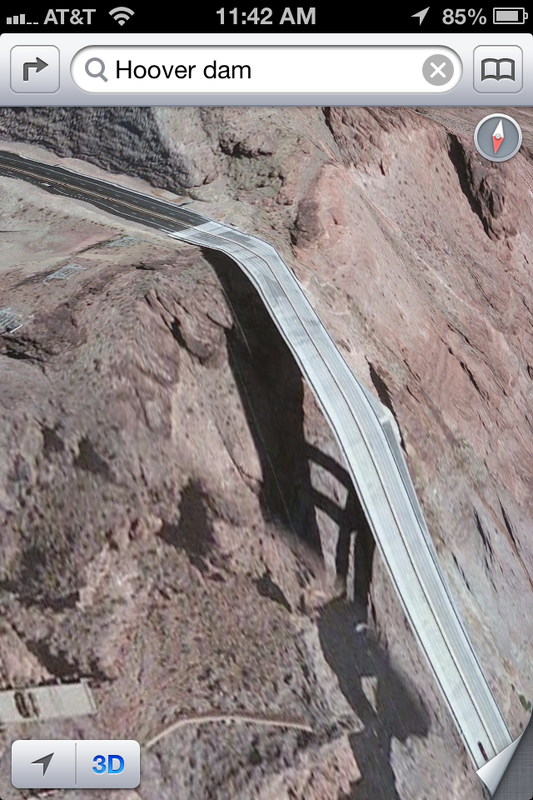 For more examples of the sloppiness of Apple’s new maps, check out this Tumblr page. Update (9/25/12): News is coming out that Apple had over a year left in their contract with Google and chose to preclude their services early. The same sources claim Google is in fact creating an iOS app of its popular mapping service, but it’s still several months down the road and Eric Schmidt, chairman of Google, says it’s up to Apple whether or not it’s approved at the end of the day. 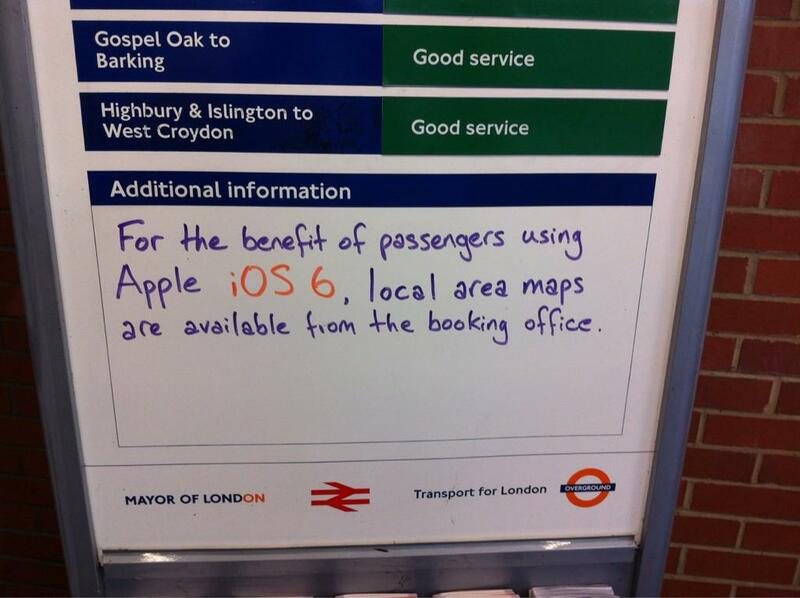 The tale of Apple’s newest maps isn’t all bad though. Users of the new maps in China and North Korea have better quality maps than what Google provides. In China, it’s because Google is not an authorized cartographer. On the other hand, Apple has licensed the data from a Chinese mapping company. Apple is also rapidly correcting errors based on user reports, as well, although the entire service still comes across as half-baked or alpha/beta stage. 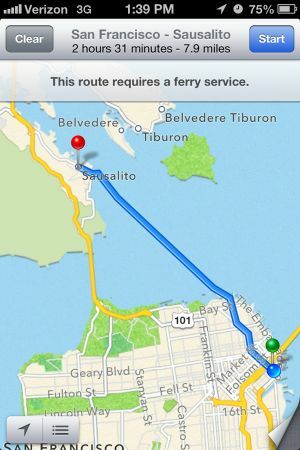 Edit 12/13/12: Rejoice, here comes Google’s Maps to iOS! Hey, I just wanted to say that I thought you blog post was very interesting, and I wanted to speak with you via email, but there is not contact info posted on your site. If you would like to speak, please feel free to email me at robert@techreviewblogs.com. Thanks! Wow, what a stuff up this has been. And now that Australia has taken over the USA, will there be enough kangaroos for everyone? My decision to hold off from updating to the iOS 6 on my iPhone 4 was a great idea, but what to do when I eventually get my iPhone 5…..
I’m glad I chose not to update the iOS on my iPhone 4, but I’m not delighted to know that I don’t have access to google maps on the iPhone 5 (when I finally have mine delivered) without accessing through Safari. Boo…. Great post – thanks for helping us understand what all the griping is about. You’d think they would have put a lot more effort into this program, given the popularity of Google maps, rather than rushing a defective product to production. I’m no techo freak, a little bit too humanoid really, but I have just been thrust into an Apple world where nothing makes sense to me most of the time. Now, for what I do, the environment will be just fine, but what has appalled and amused me is the evangelical fervor with which I am told I need to be saved by Apple…It is nice, no, it is reassuring to read that I am not the only person to feel lost and afraid in an Apple world! Thanks, and congratulations on being freshly pressed! Thank you for explaining these issues in language that a technophobic (such as I am) can understand. I am going to point my students to this post later this morning. Half of them have their damned phones out to play with anyway, so they may as well google (or otherwise locate) this [insert smiley face here]. 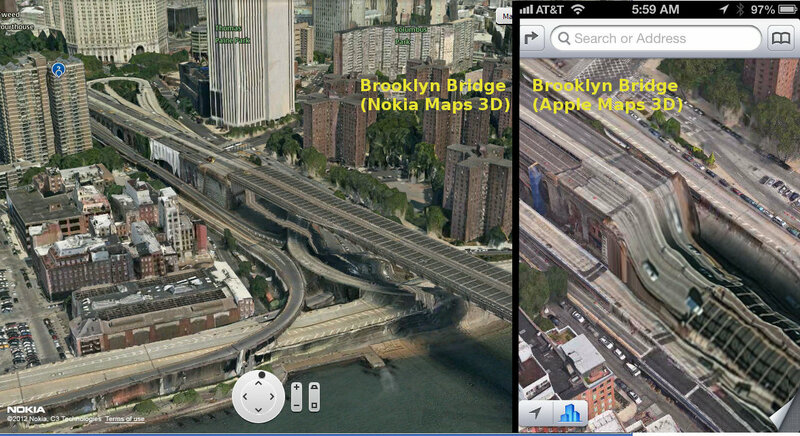 This is a phenomenal breakdown of the new Apple Maps in iOS6. Wow….I think the “fly over” photos totally made my day! I thought they were hilarious!! I’ve always preferred paper maps. Or asking people for help. Really terrible mistakes, iPhone is an expensive device, it should be free of such flaws. Good Blog, I am just in the processing of updating my phone, currently have a Blackberry so not sure if to upgrade to a newer model or swap to Apple or Android. Decisions decisions hey. Don’t forget to consider Windows Phone 8, which is due for release in early November. Some great phones there and Microsoft is playing an interesting game by building a well integrated ecosystem from desktop/laptop to tablet to phone. Thank you, I have been doing some research and it looks like an option. Also I need my phone for my buisness so use a lot of Microsoft products. I updated late last night….really wishing I had NOT done it!!!!! Blah I understand the need to “separate” themselves from Google but really my 3 year old can stay happy for long periods of time (when we are stuck out in the world) with you tube. Now that I had to re-download it to my Iphone 4 it’s not as user friendly as my app was before. That’s just one of the many (and most immediate I found) of things I do not like about this new update. Bets on how long it takes them to send a new update out LOL! Small detail from a London-based pedant, the London sign was is in the Hackney Wick underground tube gates rather than the airport. Great article post though, loved it. Awesome! Thanks for providing me with more information on this. Glad you enjoyed the post. I hated the old Maps system, but I don’t live in a city. My friends all live in cities and this new Map system is terrible for them, and seems like a complete joke to those abroad. I don’t know why Apple would make such a clear downgrade to one of their most important features. I haven’t upgraded my 4 for this very reason – but then, I never upgrade my software right away. I like to give it time, usually about a month, to work out the kinks before totally changing my user experience. I can’t function without Google Maps – their transit maps are better than the local transit company’s website! When my phone upgrade comes around, it is likely that I will make the switch to Android and use my 4 as an iPod. They should make it a game: let’s go on a road trip to see if the [Hover Dam] is still there! I think someone needs to make a movie based on the iOS6 Apocalypse. 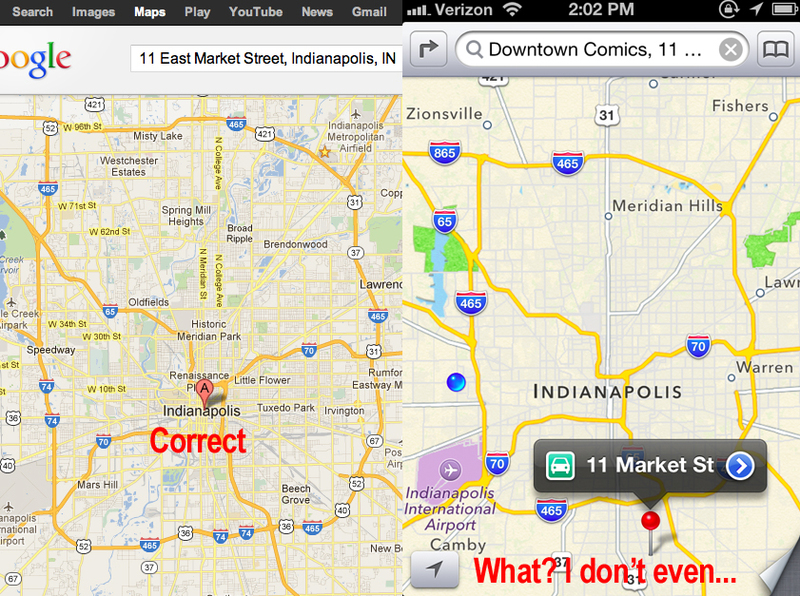 Abiding to the directions for Apple’s new map app should be one of the factors in a truth or dare game. Steve Jobs never would have let this mess to have occurred, even of ot meant delaying the rollout of ios6. Would one suggest a lengthy time period before trying to get the iOS6? phone contract’s up in february and the beauty of icloud seems like a smart move, but not at the cost of quality… comments? It’s hard to say whether or not someone should move on to a new mobile ecosystem (Google Android, Microsoft Windows 8, RIM Blackberry). It sounds like you’re already entangled in Apple’s iOS ecosystem and enjoy its features such as iCloud. My best advice is to read up on the various ecosystems, talk with friends about what they like and don’t like about it, and then decide from there based on your needs. It’s not incredibly difficult to make the switch if necessary and there are plenty of cloud solutions out there. An enjoyable read! I live in the UAE and have had mixed reviews from friends who have upgraded. I’m going to stay clear of it and leave my 4S happy on Google maps – it works really well out here where the roads are constantly changing and most of them don’t have proper names. I’ve posted your link on a friends’ Facebook wall as he, so far, says that it’s better! Reblogged this on Two Rue. Laughed hard ! thanks ! I have neither Apple nor Android and wouldn’t know how to use either, but wanted to comment and express my appreciation for being able to compute something technical in such simplistic terms. I actually understood what you said and should I ever decide to purchase, will look harder at Android. Thank you! This is great, it gave us a good laugh! Thanks for the heads-up. Is it worth upgrading my iPhone 4s to iOS6, despite this (minor) hiccup? The 4S gets most of the other improvements offered by iOS6, so it’s not as big of a trade-off as people upgrading on their 4. I recommend reading a review of iOS6 to see what the new features are (http://www.engadget.com/2012/09/18/ios-6-review/) and then deciding for yourself whether or not the new features are worth losing Google Maps for. 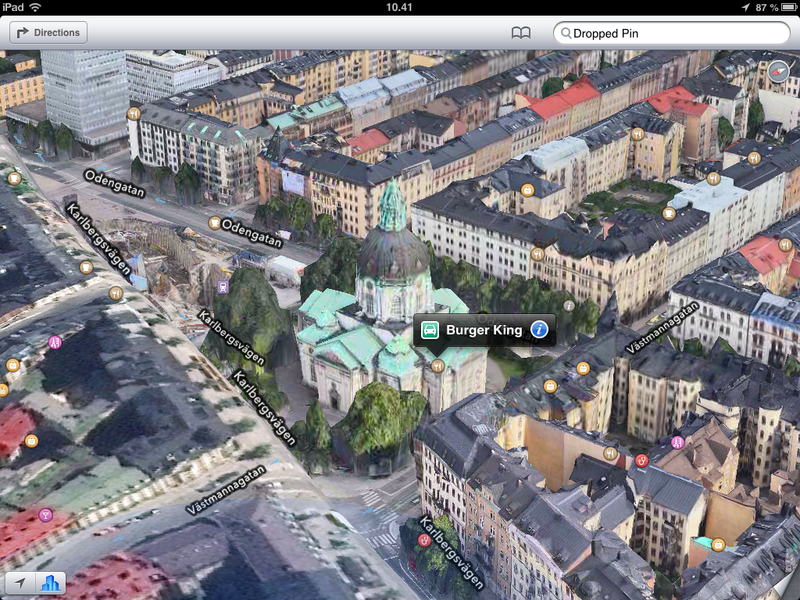 You can also check with friends who have iOS6 to see the quality of the maps in your area. For all we know, they are good enough for your needs. so funny :D and interesting. Reblogged this on Mister Curious. Is it wrong to say that it was the underground (subway) that put up the sign in London and not the airport ;-). Agree with all of it. I love my iOS5, and I not going to upgrade – however much I want a laugh. Nope, not wrong at all! Someone else also pointed it out to me, but thank you! I really should update that small bit. Great post. We certainly know how annoying it can be to have to use inaccurate mapping data. 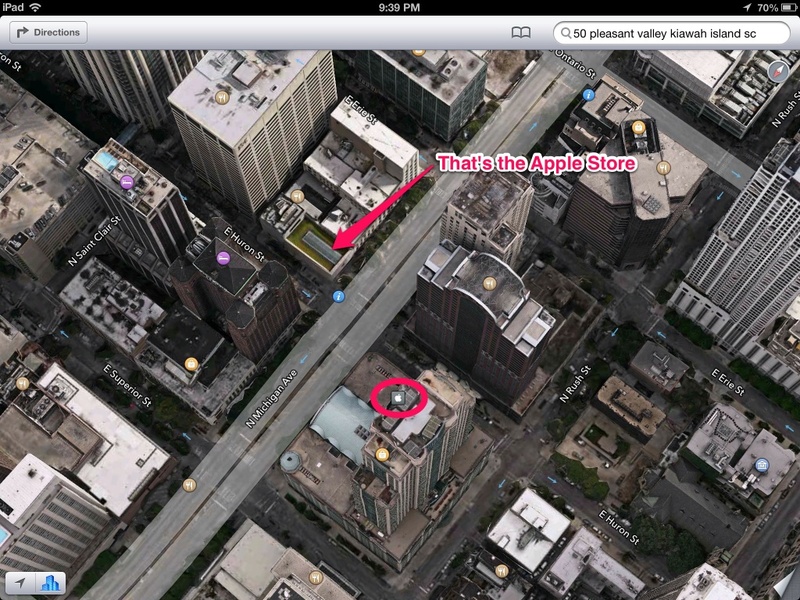 Hopefully Apple can clean up its mapping application. I will not be getting the Iphone 5! Its so aggravating not being able to update my iPhone to iOS6 because of google maps. Living in NYC I am constantly relying on public transportation and losing this feature is not worth the update for me. Grr!! Yeah, it can be a real pain. If you have any friends, you may want to ask them and see how their experience with iOS6 is. There are some 3rd party apps that can provide you with public transit information, as well. Some would prefer to use only one mapping app though, and many find Google Maps to provide the right amount of detail and options. Honestly though, who implemented this? Furthermore, where are they, “What Would Jobs Do?” bracelets? 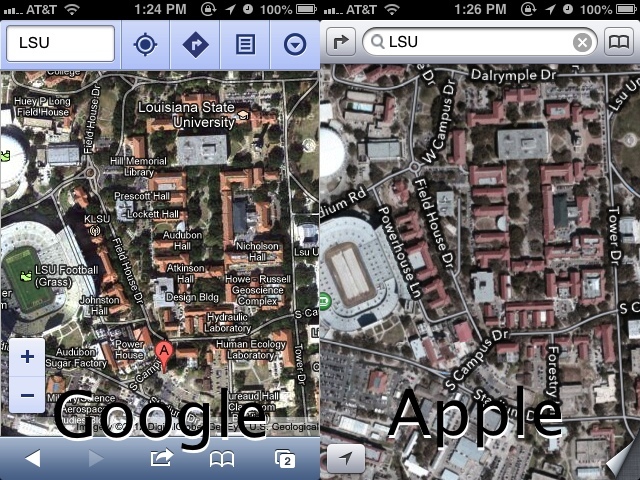 Just read how Apple has issued a public apology on how they screwed up their maps and how Google is laughing at them. I would be upset, too, if I paid for it and it worked like this. That said, I kind of like the effect: Maybe Apple could re-brand it as Salvador Dali maps or Terry Gilliam’s world! I’d buy that if it warped my front drive or placed my house right next to Neverland!